Bitcoin Gold Slots: How Do They Work? Cryptocurrencies have become a much bigger part of the online slots industry. This includes Bitcoin Gold slots, which are becoming a more-viable option for gamblers. Of course, Bitcoin Gold (BTG) is just one of multiple cryptocurrencies that can be used to play slots. Therefore, you may have more questions on exactly what BTG is along with how you play such slot machines. 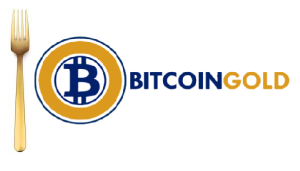 BTG is a hard fork of Bitcoin and serves as a distributed digital currency. Bitcoin Gold proponents forked off Bitcoin with the goal of restoring mining with common Graphics Processing Units (GPU). Bitcoin, in contrast, uses specialized ASIC (customized chipsets) to mine coins. GPU mining allows anybody to start mining coins with a standard laptop, rather than specialized equipment. BTG currently has a market cap over $172.8 million (source: CoinMarketCap.com). This makes it one of the larger cryptocurrencies on the market. BTG has faced some challenges along the way. It was hit by a double-spending attack on May 18, 2018, which caused a minor fall in its value. How Do You Play Bitcoin Gold Slots? Playing Bitcoin Gold slots is fairly easy. The first step involves finding an online casino that accepts this cryptocurrency. Although not the biggest coin in crypto, BTG is becoming accepted at more internet casinos. You shouldn’t have too much trouble finding a site that allows BTG wagers. The next step is to acquire Bitcoin Gold. You can find it at a number of exchanges, including Binance, Bithumb, and OKEx. You can’t purchase Bitcoin Gold directly with fiat. Therefore, you may need to buy Bitcoin at a “fiat on-ramp” like Coinbase, then transfer your coins to another exchange. Once you’ve bought BTG, you can make a deposit at the online casino of your choice. Such casinos normally offer simple instructions for how to make deposits using Bitcoin Gold and other crypto. ← Slots Betting Options: How Important Are They?